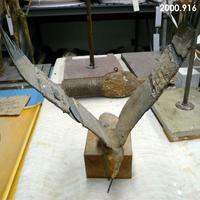 Armature on wood base of an eagle with wings upward. 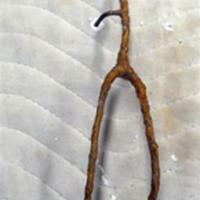 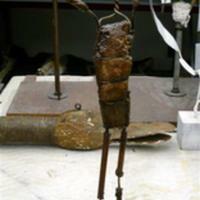 Armature made of plaster, wire and has some clay residue on it. 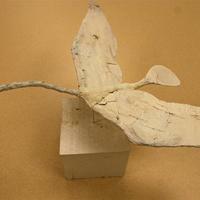 Bird armature made from wire and plaster mounted on an octogonal shaped white wood base. 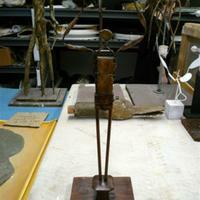 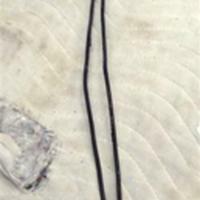 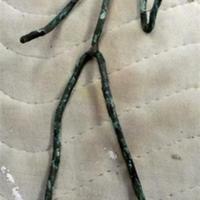 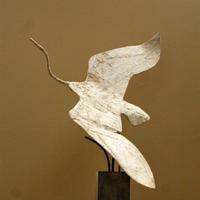 Bird armature made from wire and plaster mounted on a square aluminum rod attached to a marble base. 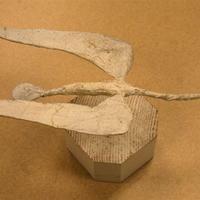 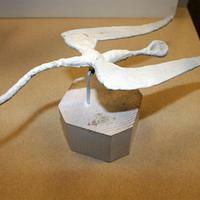 Bird armature made from wire and plaster mounted on a cube shaped white wood base.